The following letter was sent to newly appointed President Janet Napolitano congratulating her on her new position and offering thoughts on priorities that will be critical to ensure increased access and improved student completion rates at the University of California. The letter was jointly drafted and signed by 22 co-signers from education, business, and civil rights organizations across California. 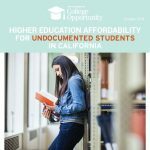 In addition to the Campaign for College Opportunity, signers of the letter include: Advancement Project, Bay Area Council, California Business Roundtable, California Chamber of Commerce, California Competes, Education Trust West, Excelencia in Education, Hispanas Organized for Political Equality (HOPE), Hispanic Scholarship Fund, Inland Empire Economic Partnership, Los Angeles Area Chamber of Commerce, Mexican American Legal Defense and Educational Fund (MALDEF), Sacramento Metro Chamber of Commerce, California NAACP, National Council of La Raza (California Region), PICO California, PolicyLink, Public Advocates, Southern California College Access Network (SoCal CAN), The Institute for College Access & Success (TICAS), The Women’s Foundation of California. Read on for the full content of the letter. We, the undersigned, write to express our congratulations on your appointment to serve as President of the University of California (UC) system. We have all been proud to partner and work with the UC system to increase college opportunity and success for students seeking an education at one of the ten campuses of the UC. 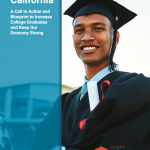 In 2010, we came together to support the UC, CSU and California Community Colleges historic package of student-centered transfer reform legislation, SB 1440 and AB 2302, and are currently working side by side on implementation. 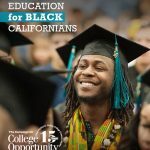 While SB 1440 (Padilla) works to streamline the transfer pathway between community colleges and the CSU, AB 2302 (Fong) ensured that the promise of California’s Master Plan for Higher Education would be upheld by encouraging the UC to develop a more robust statewide transfer pathway for qualified community college students. Your recent comments on the importance of streamlining transfer give us great encouragement, and we hope you will consider engaging community college leaders, along with representatives from the business and civil rights communities in your upcoming Task Force on this issue. We hope that these efforts will advance UC efforts to receive community college students in the associate degree for transfer pathway and set clear benchmarks for implementation immediately. You have also recently noted that, “In California, a new generation is knocking at the university’s door. Most of California’s K-12 students are from diverse, underrepresented groups; many are the children of immigrants. They share the same dreams as those who came before them. They represent the future of UC, and of California.” We could not agree with you more and look forward to hearing your plan for ensuring diversity and student success for a growing number of Californians that are currently underrepresented in the UC system. You inherit the UC at a time of renewed hope. Thanks to California voters who passed Proposition 30, some funding has been restored to the system and a pause to increased student tuition has resulted. We trust that you will be a prudent steward of these new resources and make decisions that expand access to the ten UC campuses for California students, close equity gaps in access and completion rates for underrepresented students, and produce graduates in critical fields needed by our state’s economy. 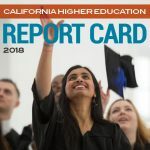 As you know, California has newly appointed leaders for each of our public higher education segments including Timothy White, Chancellor of the California State University and Brice Harris, Chancellor of the California Community Colleges. Together, you have a historic opportunity to unite our colleges and universities in a common agenda focused on increasing access, significantly improving college completion rates, and improving efficiency and affordability. Together, you can exercise unprecedented leadership, the likes of which have not been seen since the creation of the 1960’s Master Plan for Higher Education, to resurrect the California promise of college opportunity and success for a growing diverse population in order to meet the increasing demand for skilled workers in our state. Prioritize the greatest possible enrollment of eligible California students into the UC, significantly increasing admission rates for California students. While we understand the importance of out of state tuition dollars for the UC, educating our own population must remain the #1 priority for the system. Champion a fully realized associate degree for transfer pathway from community colleges to the UC that goes beyond campus by campus agreements and significantly increases the number of California community college students that reach the UC and earn a Baccalaureate degree. Relieve the uncertainty facing students and families by working towards a fee policy that ensures any further tuition increases are moderate and predictable, that all students maximize federal and state financial aid and are aware of federal loans and income based repayment programs. 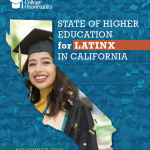 Understanding the growing diversity of California and the need to ensure a strong economy, resolve to identify strategies for increasing eligibility of diverse students into all of the UC campuses and ensure they complete at rates comparable to their White peers. Provide courageous and visionary leadership to build upon the new performance reporting requirements outlined in this year’s state budget by requiring action plans from each UC campus to improve graduation rates, increase the number of students transferring from community colleges, increase the number of degrees completed and reduce the time to completion. We hope to meet with you in the early part of 2014, Michele Siqueiros, Executive Director of the Campaign for College Opportunity, will follow up to coordinate. Once again, we warmly welcome you to California and await opportunities to engage more deeply with you to ensure the state has the educated workforce it needs to remain economically competitive.